Doi Chaang Coffee | Cook. Vegan. Lover. 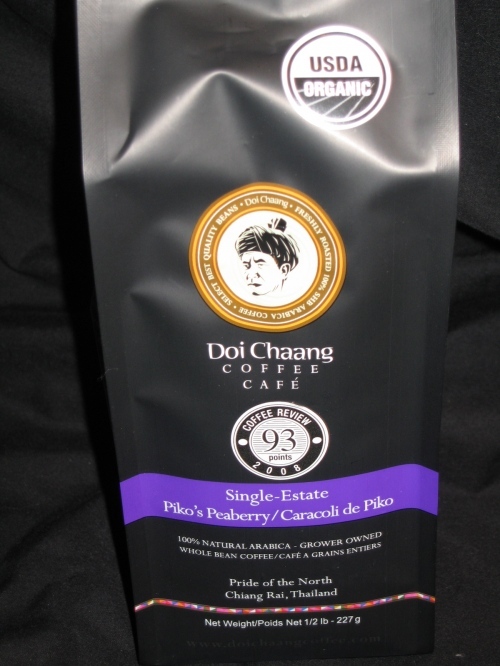 I was recently given the opportunity to try coffee from the Doi Chaang Coffee Company out of Vancouver British Columbia. This is a very unique company as it is the grower, roaster and marketer of the coffee. This coffee has received great reviews and on the 100-point review (much like those in the wine and beer industry) conducted by Kenneth Davids it received 90 points on the Medium roast and 93 points on the Peaberry roast. I received the Single-Origin Signature and the Single-Origin Peaberry roasts. I have at this time only tried the Peaberry roast and I found that it was amazing. I was really impressed with the earthy flavor. I am looking forward to sampling the Signature roast as well. This entry was posted in review and tagged coffee, review. Bookmark the permalink.